Khadijah got that smooth fire for your soul! Khadijah got that smooth fire for your soul! Toronto resident Khadijah Lopez grew up in Ontario’s Mississauga, and found her groove in music as an extension of her preexisting love for poetic art forms. Poet, singer, and songwriter Khadijah is an R&B-soul artist with influences from hip hop and alternative styles. Her unique sound can be heard richly and profoundly filling the lyrical cravings of slow, dynamically deep, and sometimes jazzy beats. In 2017, Khadijah dropped her first EP Paradigm, a six-song EP that captures the essence of what it is to feel emotions. This EP bordered on perfection, with the only flaw being that “Pure Animal (Outro)” should have been longer -- ideally, a song that good should never end. The deep resonance of her voice brings about a warm feeling that makes you get lost in the song and almost as if you are taking a journey within yourself. Two of my personal favorites from this project are “Alluvit” and “Just for You”. “Alluvit” uplifts and empowers, while still portraying a sense of vulnerability surrounding the idea of sharing your love with someone. "Just for You" speaks to the hips, making them want to move uncontrollably while fully developing the idea of giving your body to someone as a symbol of your love. Khadijah’s poetic roots fostered an enormous talent for conveying emotions through her music, and are a key aspect of what really sets her apart from other artists. 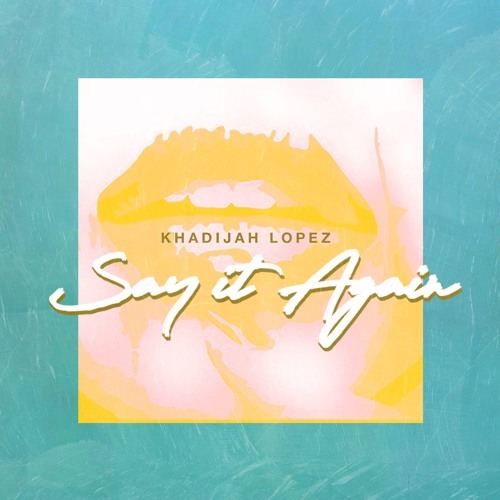 Since Paradigm, Lopez has released two singles -- "Karat" and “Say It Again,” both of which follow the incredibly high precedent that was set by her first release. I stan Khadijah Lopez and I already know whatever she has on the way is absolute heat guaranteed. If you haven’t already, go check her out! FOLLOW KHADIJAH on Twitter, Instagram, Spotify, and Soundcloud.